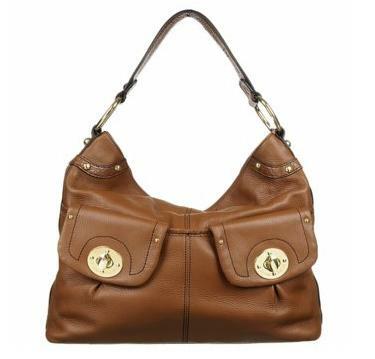 Are you an Etienne Aigner fan? Even if you're not, you'll definetely love this bag! 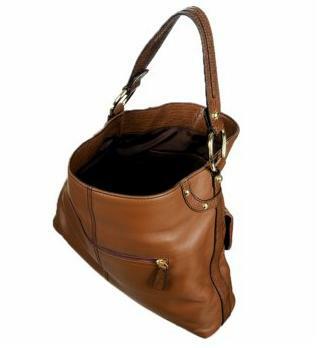 This elegant Etienne Aigner handbag will add a pop to any ensemble! The Audrey Bucket bag is spacious enough to hold all your everyday essentials. It boasts a top handle for easy carrying and two front pockets that are perfect for a cell phone or keys. Roomy interior and the subtle stud details ensure that this bag is fashionable and functional! Dimensions:16" x 10" x 5"
Note: If you would like other color, you can also place your order now. Hurry, while stock last. do you hv this bag in red color or electric blue? i think we do have in red, but i need to check the stock. email me if you're interested.